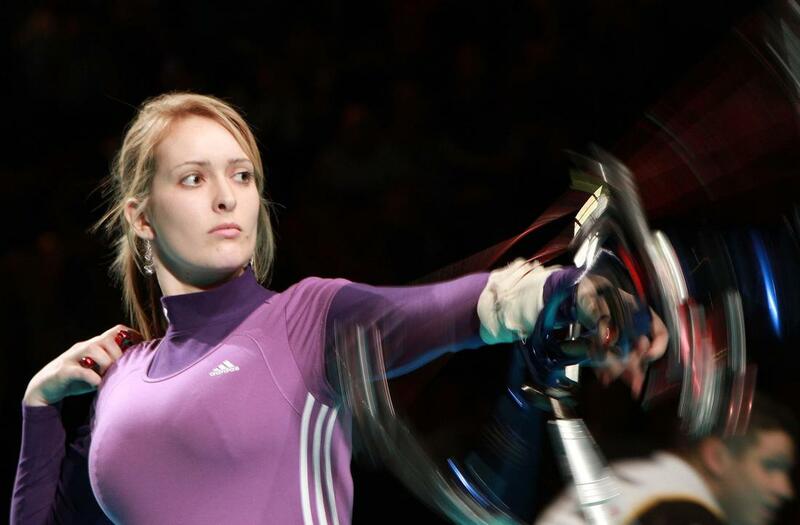 Danielle Brown MBE is a double Paralympic gold medallist in archery, five time World Champion and was World Number 1 for her entire career. She also achieved something that very few disabled athletes manage when she successfully transitioned onto the able-bodied team. I've always had big dreams for my future. Even though I didn't always have a clear idea of what that success would look like, I knew that whatever vocation I eventually settled into I was going to be good at it. Failure was not an option. My plans came crashing to a halt when I was struck down with a disability as a teenager that severely effected my mobility. I was diagnosed with Complex Regional Pain Syndrome, a rare and very painful condition in my feet. At a stage in your life when you're figuring out who you are and what you want to do with your life, this was a challenging but I came to realise that whilst you can't control what happens to you, you can control your response to it. Determined to live life on my terms, I looked around for a sport that didn't involve lots of running around or walking and took up archery on my 15th birthday. This was the first step on a journey that saw me rise to Paralympic glory, dominating my field for over eight years. During this time, I also proved doctors wrong by successfully juggling a law degree and achieving first class honours. Three years after taking up the sport, I stepped straight into the international circuit as World Number 1 and had soon accumulated a number of titles, including that of Paralympic Champion in Beijing 2008. Always striving to improve, I transitioned onto the able-bodied team. In 2010 I became the first Para athlete to represent England in an able-bodied discipline where I won the gold medal in the team event. London 2012 was the tournament I was most excited about and I worked incredibly hard, committed to retain my Paralympic title in such a prestigious setting. The proudest moment of my life was receiving my gold medal in front of that home crowd at London. The support of the entire country was overwhelming, but it was also the first time that my family and friends had ever seen me compete internationally and this made standing on the podium a very special moment. Archery was such a big part of my life and I was fully committed to making the team for Rio and trying for my third gold medal, but life has a way of throwing up setbacks when you least expect it. In 2013 I learned that I had failed to classify under the new rules and that I could no longer compete at Paralympic events. I started archery because I was fed up of all the limitations imposed on my life and archery helped a disillusioned teenager come to terms with having a disability. In one moment everything I had worked so hard for was gone, just because I didn’t tick a box. I wanted to discover what it took to be the best in the world, and I got there because I always believed I would. Now I am moving onto other exciting projects and challenges, where I am determined to be as much of a success as I have been in my sport. This time I get to help others achieve their ambitions and goals through my work as a speaker, trainer and coach. Won the Women of the Future Award in the sports category, for achievements in sport and current work in the field of gender equality. 2nd place at the UK National Series Event. Awarded the Freedom of the City of London and made a Freeman Archer of the Worshipful Company of Fletchers. I received an honorary degree of Doctor of Laws from the University of Leicester. Awarded a MBE for services to archery in the New Years Honours list. London Paralympic Games: gold in the open women's event. Gold at the Nimes Indoor World Cup (able-bodied). Paralympic World Championships, Turin: 1 x gold and 2 x silver medals. Commonwealth Games, Delhi: gold team medal, where I was the first disabled competitor to represent England in an able-bodied discipline. European Championships, Vichy: 2 x gold medals and 1 x silver medal. Graduated from with University of Leicester with a first class law degree. Paralympic World Championships, Czech Republic: 2 x gold medals. Beijing Paralympic Games: gold medal. Paralympic World Championships, Korea: 2 x gold medals.